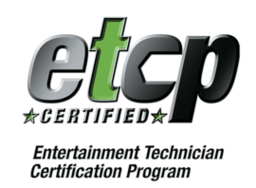 The Entertainment Technician Certification Program (ETCP) ETCP is pleased to announce the exams for Portable Power Distribution Technician Examination will be available in French as of spring 2019. The French certification exams will be launched in paper and pencil format and made available for computer-based testing thereafter. Candidates are reminded that there is now a less stringent work requirement for this certification. Last year, the ETCP Certification Council lowered the eligibility requirements for candidates applying to take the PPDT examination to 20 points, from the original 25 points. The ETCP Council would like to thank the subject matter experts who worked on the translation: Bernard April, Jacob Fortier, Nicolas Hohn, Antoine Malette, Alexandre Picotte, and Marco Venditto. A very special thank you to Claude Gagnon with IATSE Local 514, who facilitated the project. The ETCP Council members are key leaders drawn from entertainment business, labor, facilities, associations, and academia representing the diversity of the entertainment industry. 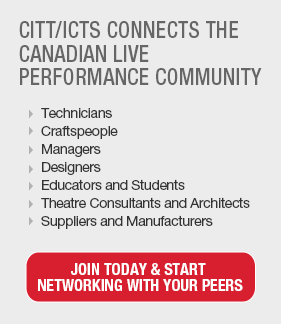 Membership includes ESTA, AMPTP, Cirque du Soleil, CITT, Disney Theatrical Productions, IAVM, IATSE, InfoComm, The Broadway? League, Live Nation, NBC Universal, PRG, PSAV, TEA, and USITT. ETCP is an ESTA initiative created to promote industry safety.